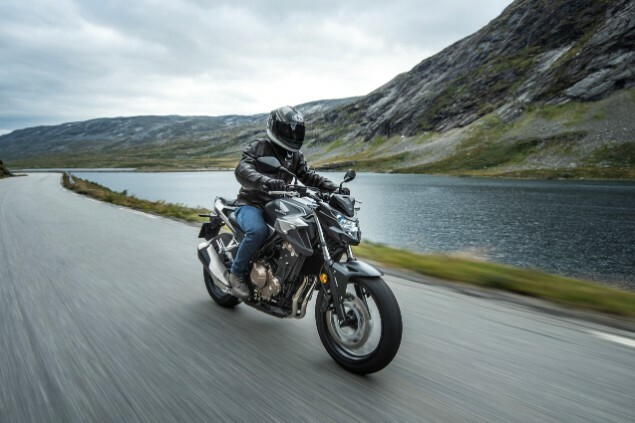 Honda has introduced five new or updated models with the CB650 and CB500 ranges, CBR1000 Fireblade and Fireblade SP along with the ADV adventure scooter and the GL1800 Goldwing all benefitting from changes. Honda has given the CB650R a fresh new look for 2019 with styling inspired by the ‘Neo Sports Café’ design theme and looks of the bigger CB1000R. This is an important market for Honda and the bikes from the Japanese manufacturer have always been key to decent sales in the UK. 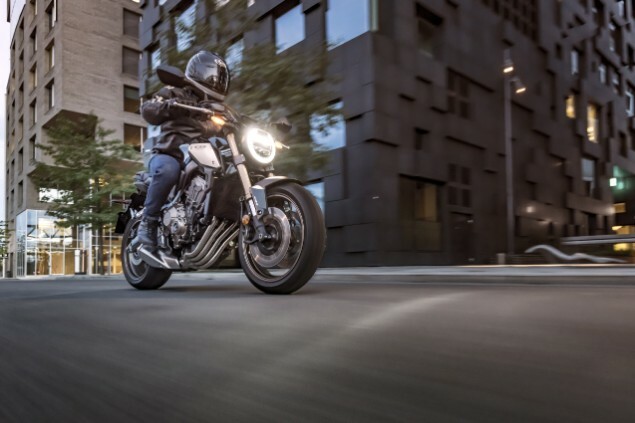 Honda has given the bike a makeover in the hope of making the bike more appealing to a younger audience while maintaining the ability of the CB650R to be a bike with a wide spectrum of ability. 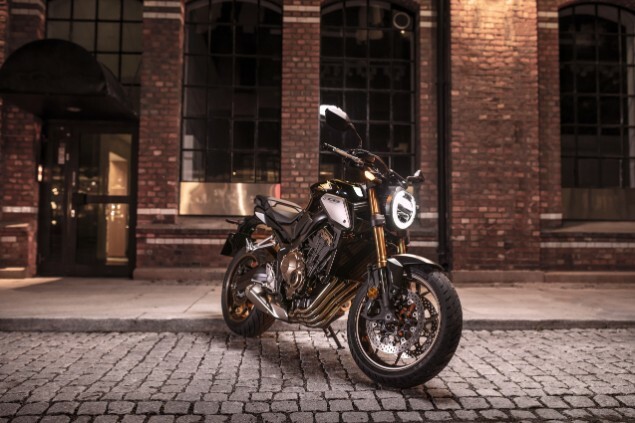 The new styling is the most immediately obvious change to the bike and it echoes the styling of the CB1000R but underneath there are significant mechanical changes as well. A new frame, fuel tank and footpeg mountings have saved a substantial 6kg when compared to the old CB650F which has now been replaced by this bike. Other changes include new 41mm Showa upside down forks, radial mount four-piston calipers, floating brake discs and new wheels. 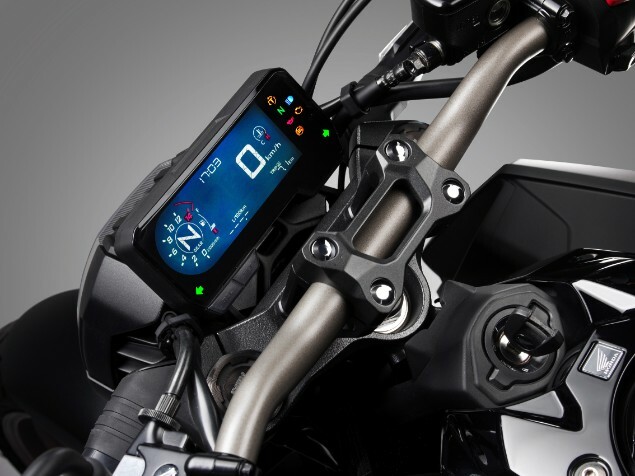 The same LED headlight as the CB1000R has been used on the CB650R as well as the LCD instrument display. The bike will be available in four colours; red, black, silver and blue. Changes to the engine are relatively major too with revised intake and exhaust, plus new cam timing and compression ratios that deliver a 5% boost in power along with the promise of smoother, stronger torque delivery in the mid-range. 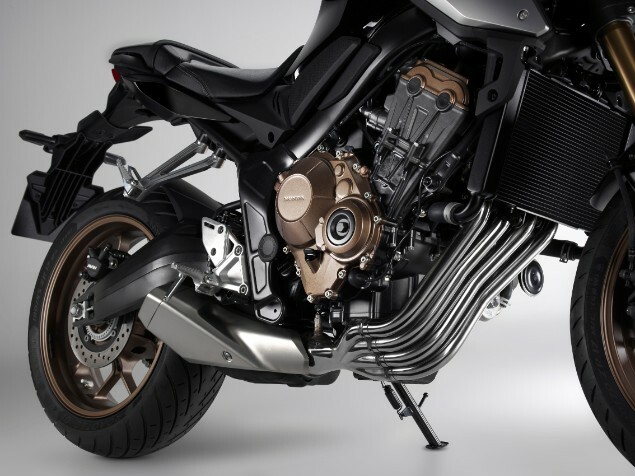 The four-cylinder engine has been modified to rev another 1000rpm higher to 12,000rpm with an updated slipper clutch also joined by Honda’s traction control called Honda Selectable Torque Control (HSTC). The engine can be restricted to 35kW for those still riding with an A2 licence. The mechanical changes to the engine of the CB650R are carried over to the fully-faired CBR600R which has been given a styling makeover to make it look similar to the range-topping CBR1000RR Fireblade. The CBR650R replaces the old CBR650F – the R designation (which stands for Racing) giving the bike a racier name to match the new bodywork. The CB500 range has been a big hit for Honda since the parallel-twin machines went on sale in 2013 with more than 75,000 sold across Europe. Changes for 2019 are not massive but there is more power and torque between 3000rpm and 7000rpm and Honda has worked make sure the styling of the roadster, faired sports version and the adventure bike are all more distinct. All three models have new rear suspension, updated assist/slipper clutch, full LED lighting, updated LCD instruments and twin-outlet exhaust for a richer exhaust note. 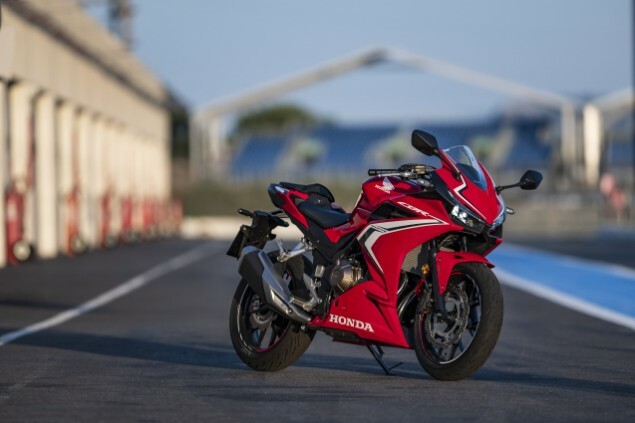 The CB500F gets sharper-edged styling, the CBR500R gets bodywork that looks similar to the larger Fireblade and the CB500X gets a new 19in front wheel, longer travel suspension front and rear, a slimmer seat and a more rugged fairing offering improved protection. The Honda CBR1000RR Fireblade was only upgraded in 2017 but for 2019 the model range gets an upgraded electronics package with changes to the traction control, ABS along with some minor cosmetic changes too. Changes to the X-ADV adventure scooter are restricted to new colours for 2019 which will include a new green shade along with updates to the Dual Clutch Transmission to give more off-road friendly gearchanges from the automatic gearbox. The GL1800 Goldwing was only introduced last year so changes for 2019 see a new black and blue paintjobs. The SH300i scooter gets the Honda Selectable Torque Control (HSTC) traction control system and a topbox that can be unlocked remotely using the keyfob.